Category: Android, Apps, Free, iPad, iPhone, iPod. 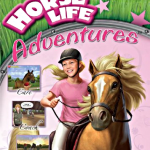 Tags: Adventure, Fun, Girl, Kids, Pony, TV show, Video. 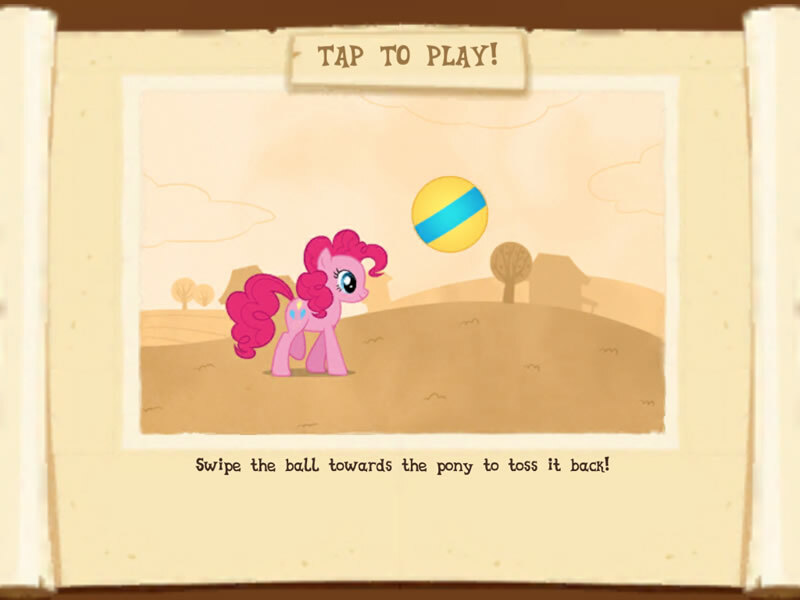 Just like the TV show, the app opens with the back-story to My Little Pony. Two sisters once ruled the land of Equestria, but the sister of the night became jealous of the sister of the sun and day. She tries to take over the sun but is locked away into the moon. After centuries in her prison, Nightmare Moon escapes and tries to spread night across Ponyville. 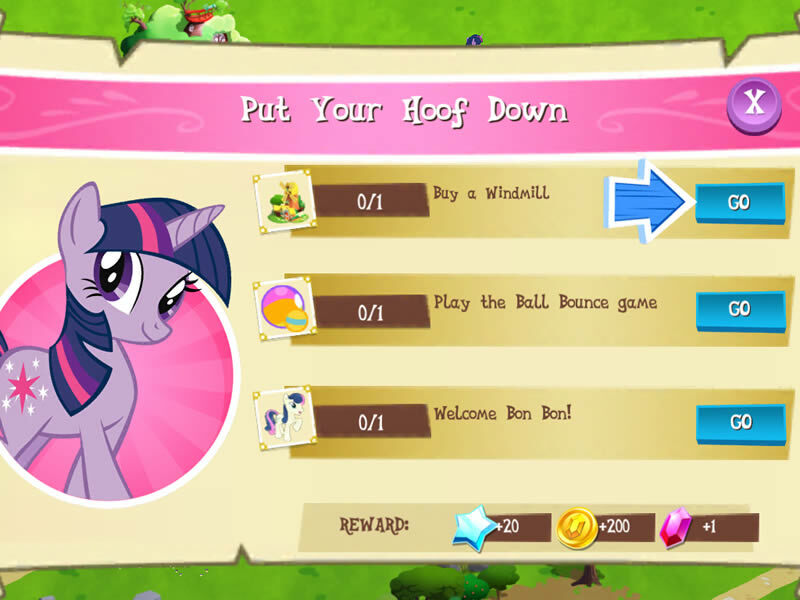 In this pony game, all your favorite characters are ready to stop Nightmare Moon, starting with the main character of the series, Twilight Sparkle, and her assistant, Spike. 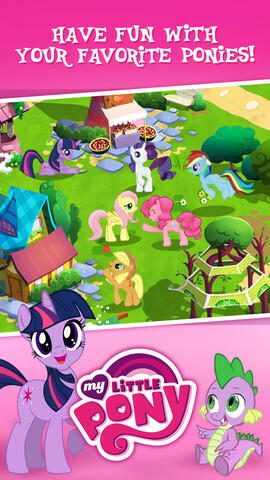 The beautiful and recognizable landscape of Ponyville is found on the main game screen. 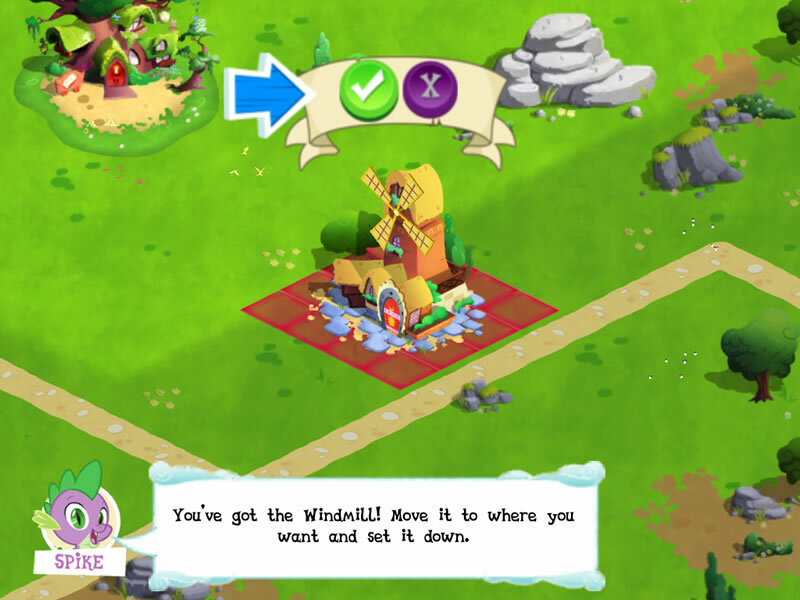 Your first task is to place a windmill wherever you want in Ponyville. And just like the TV show, Spike always has good advice and help. You can easily earn coins and gems by shaking the trees, which is useful because you need plenty of them to play this game. You are easily tempted to buy coins and gems because this little horse game constantly offers you choices to spend more to get what you want. Like when you are playing a ball game, you can purchase a prettier ball with more gems. If you want to perform some tasks, like making bread, you can do it faster with more coins. This game is simple to figure out for younger players, and it has more than enough fun for older players too. 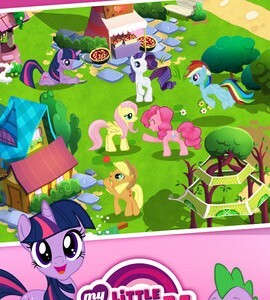 It has a strong storyline and lots of games and tasks within the larger game of creating Ponyville. I highly recommend this app to anyone who loves the TV show and anyone who loves horses. 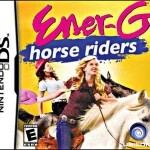 It has beautiful and creative graphics, and it’s a game that never gets boring. I like this game, but I HATE the fact that it always seems like you need to buy stuff like coins and gems even other stuff in order to continue playing.